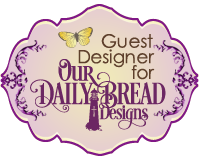 Welcome to the ODBD Blog, we are back this week sharing projects with Areli Johnson. 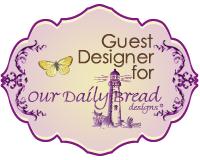 Areli's projects use products from our August Release, links to the products she used can be found under her projects. This week, Areli is using the Get Well Wishes stamp set along with additional ODBD products. 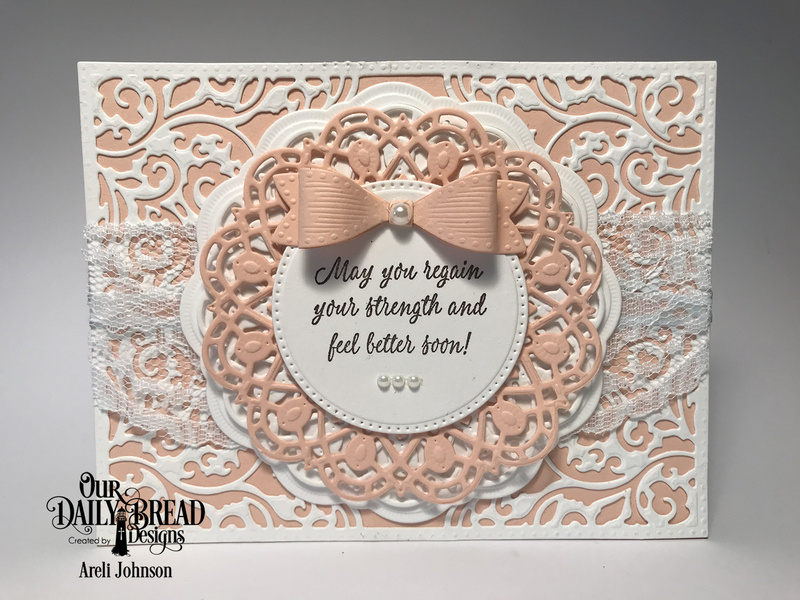 CLICK HERE to see more inspiration using the Get Well Wishes stamp set. 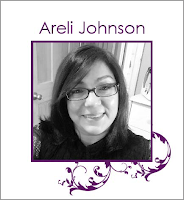 Thanks for visiting with Areli this week! For more inspiration visit our Samples Gallery, "like us" on Facebook and follow us on Pinterest and Instagram! Gorgeous designs again this week, Areli!! 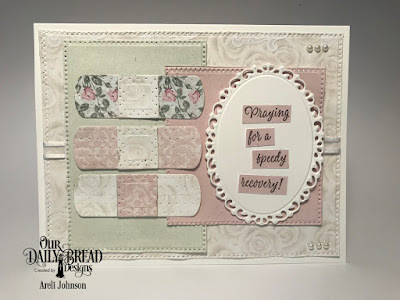 The first is super elegant and I love the paper pieced band-aids in the second....very cute!! Looking forward to seeing what's next!